With a degree in Health Sciences students reciev an interdisciplinary education in healthcare that qualifies graduates for a number of well-paying careers. Students in these programs tend to study healthcare from the perspective of administration, management, leadership, ethics, patient care, clinical practice, and more. Many programs provide special concentrations that help students meet prerequisites for admission to graduate programs in professional health fields like Physical Therapy and Public Health. As the population continues to age, the demand for healthcare is expected to grow rapidly. A bachelor's degree in health sciences can give graduates a competitive advantage when seeking careers. Because of its broad curriculum, health science programs prepare students for a wide range of future professions including health care management, administration, research, education, and sales and marketing. With careful planning, these degrees can also prepare students for a professional health science program at the graduate level. The U.S. Department of Labor estimates that career opportunities in healthcare will grow 18 percent between 2016 and 2026. That's an estimated total of 2.4 million new healthcare jobs. Average salaries range from $39,990 for Health Information Technicians to $98,350 per year for Health Services Managers. Because interest in health sciences degrees is strong many schools have competitive admissions and some programs require a minimum of 2.5 or 3.0 college-level grade point average to be eligible. All programs on our list are regionally accredited. Students seeking a flexible path toward a career in healthcare can earn a Bachelor of Science in Health Sciences from Wilmington University. The program is offered on campus and fully online. The curriculum builds a foundation in healthcare policy, research, leadership, public health, and medical law. Students can build on their degree experience with related certifications in Health Information Technology, Health Promotion: Fitness, Hispanic Culture, Holistic Palliative Care and End of Life Care, and Holistic Perspective on Aging and Wellness. Program participants get hands-on experience with the program's Work Integrated Learning Opportunities. Students interested in graduate studies can accelerate their path to a masters degree by taking graduate courses alongside their bachelor's degree. WU is accredited by the Middle States Commission on Higher Education. Put your existing medical assisting experience to work with a flexible online BS in Health Science from Northern Arizona University. Offered as an "upside-down 2+2" curriculum, the program prepares students to advance careers in health-related fields. Successful applicants have completed or are enrolled in an associate's degree program at a regionally accredited community college or at a university in an allied health program. Several specialty areas are available, including allied health, diagnostic medical imaging, nutrition, public health and more. Graduates who complete the program will be equipped with a foundation in health promotion, community health, communication skills, and leadership. NAU is accredited by the Higher Learning Commission. Get the educational background you need to launch a healthcare career with the Health Sciences BS from Florida A&M University. Students selecting concentrations in occupational wellness and pre-physical therapy are prepared to enter the healthcare industry immediately as generalists. The university also offers a concentration in health science general. The degree prepares students for graduate degree programs offered by the university and students can also earn a certificate of completion in Rehabilitation Services Management. Florida A&M University is accredited by the Southern Association of Colleges and Schools Commission on Colleges. Get the skills to become a leader in community health education with the Bachelor of Science in Health Science from the Stephen F. Austin State University. Students with this degree go on to careers in hospitals, government agencies, non-profit organizations, and beyond. With a broad disciplinary curriculum, students are exposed to a range of health science careers, while gaining a foundation required for professional postgraduate study. The program also covers consumer health, environmental health, chemical dependency, human sexuality, and the evaluation and administration of health programs. Students are encouraged to gain further experience by completing an internship related to their career objectives. Stephen F. Austin State University is accredited by the Commission on Colleges of the Southern Association of Schools and Colleges. Carve your niche in the healthcare industry with the Bachelor of Science in Health Science from Columbus State University. The program readies students for career opportunities in health care including community health, education, research, marketing, and sales. Students will also be equipped to gain admission to graduate programs in areas like physical therapy, dietetics, counseling, and beyond. Students who maintain a 2.8 grade point average through matriculation are eligible for internship opportunities and graduates are encouraged to earn credentials as health education specialists through the National Commission for Health Education Credentialing. Columbus State University is accredited by the Southern Association of Colleges and Schools Commission on Colleges. Get an education that helps you expand your healthcare knowledge with the Bachelor in Health Science from the University of Florida. Students can choose from three specialty tracks in general health science, pre-occupational therapy, or pre-public health. Program graduates are prepared for careers in medicine, physical therapy, occupational therapy, audiology, speech-language pathology, dentistry, epidemiology, or public health. The program is part of the university's College of Public Health & Health Professions giving students access to programs in Clinical & Health Psychology, Occupational Therapy, Physical Therapy, and Speech Language & Hearing Sciences. Admission to the program is competitive due to the wealth of resources made available. UoF is accredited by the Southern Association of Colleges and Schools Commission on Colleges. The BS in Public Health from San JosÃ© State University can prepare you for a career in healthcare or a clinical degree. The program offers students two pathways leading to either a degree in Public Health or Health Services Administration. Participants in the degree program are required to satisfy an international requirement with a minimum nine-day study abroad experience through an approved program. Students will need at least 12 units of college credit to qualify for the program and admission can be competitive. Core curriculum covers health policy, communication, epidemiology, and administration. Students work with an advisor to identify an additional 21 units of electives or complete a minor. San JosÃ© State University is accredited by the Western Association of Schools and Colleges. Add to your academic knowledge and prepare for a range of health-related careers with the Health Sciences, BS from Arizona State University. Graduates will be prepared for professional positions in community health, healthcare coordination, management, and more. Specialization tracks include community-based health outcomes, health legislation and regulation, integrated care, or Spanish and health. Students can compete for a limited number of opportunities to earn an echocardiography certificate through the Mayo Clinic. Students will also be equipped to pursue graduate studies in health-related professions. Arizona State University is accredited by the Higher Learning Commission. Integrating both science and healthcare foundations, the Bachelor of Science in Healthcare Studies from the University of Texas at Dallas prepares students for a wide range of healthcare careers. Students engage in coursework that covers the scientific background necessary for post-baccalaureate health profession schools. Students become grounded in the field by being taught a multidisciplinary approach to healthcare. 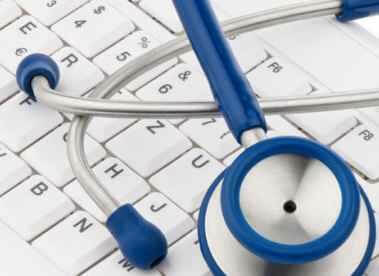 Coursework focuses on healthcare in philosophical, historical, psychological, sociological, and biological contexts. Students can customize the program in order to qualify for professional allied health programs by adding courses such as medicine, dentistry, optometry, and more. The University of Texas at Dallas is accredited by the Southern Association of Colleges and Schools Commission on Colleges. If you're looking for a career in public health and health education then California State University, Long Beach can prepare you with its Bachelor of Science in Health Science. Students begin with the Health Science program core, which covers coursework in statistics, program development, professionalism, health services organization, and health promotion. The program offers students options in community health education and school health education. Students in the school health education option must also be admitted to CSULB's Single Subject Credential Program. All students complete a curriculum that includes medical terminology, global health, risk reduction, and more. The university is accredited by the Western Association of Schools and Colleges. Get the skills to make a difference in the health of individuals and communities with the Bachelor of Arts in Health Studies from the University of Washington, Bothell. Students can select from four concentrations: health and life sciences, community health intervention and practice, health and society, and health policy, leadership, and ethics. Graduates will be equipped to launch careers in public health, health education, administration, healthcare outreach, and more. Admission to the program is granted on a competitive basis and all students will be required to submit a Personal Statement that covers career goals and relevant experience for the major. The university is accredited by the Northwest Association of Schools and Colleges and Universities. Students seeking multiple pathways to a career in healthcare can gain experience with the Bachelor of Science in Health Science from Stockton University. The program guides all students through a curriculum based on the Core Competencies for Interpersonal Collaborative Practice. The university offers concentrations in pre-communication disorders, pre-physical therapy, pre-occupational therapy, community health education, and health administration. Graduates of the health education option have the opportunity to become certified health education specialists. Students who complete the program will be well prepared to launch careers in healthcare. Stockton University is accredited by the Middle States Association of Colleges and Schools. The Bachelor of Science in Health Sciences from the University of Michigan-Flint exposes students to a wide range of possible health careers. Students gain a broad background in general education, physical and biological sciences, and health sciences. The degree program offers students three tracks, including pre-physical therapy, environmental health, and general health science. The pre-physical therapy track is designed specifically for entry into the university's Doctorate in Physical Therapy Program. The university also offers high-performing students the Health Sciences Honors Program which enhances the traditional curriculum with courses in literature and philosophy. The University of Michigan-Flint is accredited by the Higher Learning Commission. The Bachelor of Science in Health Science from Nicholls State University offers both entry-level students and experienced professionals a path toward a career in health care. Students choose between supervision and management and pre-professional concentrations. The pre-professional option is designed for students who plan to complete a post-baccalaureate professional allied health program. Students selecting the supervision and management option must hold a professional health credential. Nicholls' health science program offers up to 30 hours of credit to professionally experienced students. Nicholls State University is accredited by the Southern Association of Colleges and Schools Commission on Colleges. Students can gain expertise in a wide range of healthcare settings with a BS in Health Science from CUNY York College. The program is designed to provide students with a background in health policy, administration, informatics, management, public health, and other science-based health-related professions. The curriculum provides a broad foundation in health sciences, with courses ranging from gerontology and public health to marketing in healthcare and medical terminology. Graduates will be prepared for careers in administration, insurance, informatics, or health marketing. Academically gifted students have the opportunity to continue studies at the graduate level in health sciences. CUNY York College is accredited by the Middle States Association of Colleges and Schools. Gain insight into the business side of healthcare while launching your career with a BS in Health Science from the University of Minnesota Crookston. With a foundation in biology, chemistry, mathematics, social sciences, humanities, and communication, students are equally prepared for both clinical and non-clinical healthcare careers. Students work alongside program advisors to plan a course of study that supports their educational goals. The program offers pre-professional focuses in pre-chiropractic, pre-dentistry, pre-medicine, pre-occupational therapy, pre-pharmacy, and pre-physical therapy. UMC also offers one-year pre-nursing course of study. The University of Minnesota Crookston is accredited by the Higher Learning Commission. Complete your degree, prepare for graduate studies, or launch your career with the Bachelor of Science in Health Sciences from Western Kentucky University. Degree concentrations include preparatory health sciences and health and social welfare. There's also an allied health concentration for students interested in a post-graduate or professional degree in a health-related field. WKU offers students a path to earn an associate's degree in a health field with approval from the WKU's Health Sciences Advisor. Students can gain specialized knowledge and add to their degree with one of WKU's five related certificates in health fields. Transfer students with an associate's degree in science from a health-related program can receive a 12-hour waiver toward the major. Western Kentucky University is accredited by the Southern Association of Colleges and Schools Commission on Colleges. Students seeking careers in healthcare or allied health professions can start their journey with the BS in Health Science from the University of South Florida. The flexible program exposes students to courses in social science, business, and humanities. Graduates are prepared to begin careers in healthcare or continue their education in advanced degree programs. The major consists of 64 credit hours with 30 credit hours focusing on a concentration of the students choosing. Concentrations are numerous and include aging health studies, health management, social and behavioral health sciences, and more. Students can also earn degree credits by undertaking research and professional internships. The university is accredited by the Commission on Colleges of the Southern Association of Colleges and Schools. The BS in Health Sciences from Rhode Island College gives students a multidisciplinary background well-suited for careers in human services. The degree is grounded in a foundation of biology, chemistry, health education, math, philosophy, psychology, and sociology. From there, students can choose from five completions and concentrations including dental hygiene completion, food safety concentration, human services concentration, medical laboratory sciences concentration, and respiratory therapy completion. As completion programs, the respiratory therapy and dental hygiene programs are only open to currently licensed professionals. The college is accredited by the New England Commission of Higher Education. If you're seeking a program that delivers a holistic approach to healthcare knowledge then take a look at the Bachelor of Science in Health Science from Northern Kentucky University. Coming in at #1 on our list, the program prepares students for a range of potential careers in the healthcare industry including leadership roles, medical sales, community health, and more. Professionals with an associate degree in a healthcare discipline can select the program's online degree-completion option. On-campus students participate in a transdisciplinary track that prepares graduates for both clinical and non-clinical careers. Applicants with advanced medical credentials can receive up to 6 hours of coursework credit. The university is accredited by the Southern Association of Colleges and Schools Commission on Colleges.